Patricia Harbin, 86 of Indianapolis, Indiana passed away on Sunday, April 24, 2016 at Rosegate Village in Indianapolis. Patricia was born on September 16, 1929 in Sullivan, Indiana the daughter of Donald Dudley and Evah (Dailey) Dudley Pepple. 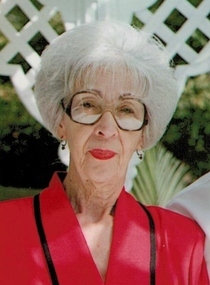 She is preceded in death by her parents, husband of 56 years Carl Harbin who passed away October 17, 2009, two brothers; Ted and Bob Dudley and her sister Eleanor Bledsoe. Funeral services will be held at Newkirk’s Funeral Home in Dugger, Indiana at 1:00 PM Thursday, April 28, 2016. Friends may call from 12:00 PM until 1:00 PM on Thursday, April 28, 2016. Interment will follow at Pleasantville Cemetery. In lieu of flowers the family request that memorial contributions be made to the Alzheimer’s Association. The family would like to thank all of the staff at Rosegate Village for all the compassion and care they gave Patricia.